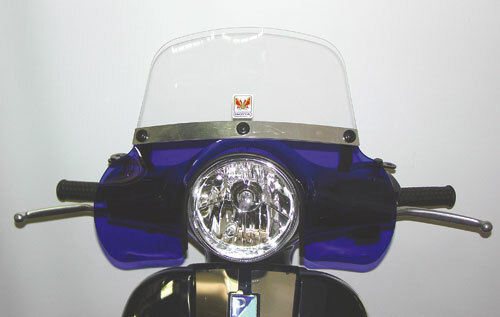 Modern Vespa : GTV windscreen, Motorsport Scooters exclusive! 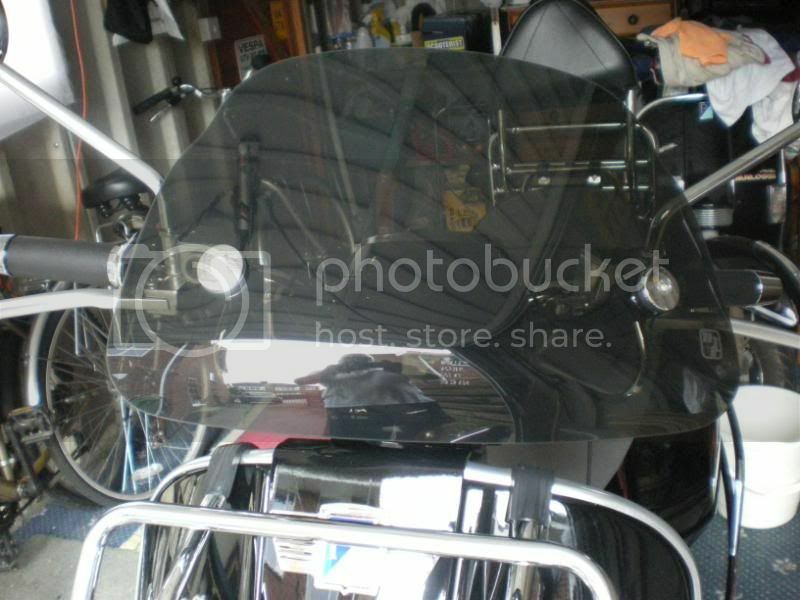 GTV windscreen, Motorsport Scooters exclusive! I have just replaced my stock screen for a Motrsports flyscreen. I'm in agreement,they should come standard with one this size.Looks better, and in proportion.Many thanks to you guys for posting photos of your GTV's with accessories etc. Gives me great ideas,don't see too many in Australia. Went out for my first decent ride this weekend since purchasing.Love the ride and the seat is very comfortable regardless of the criticism I read on some forums.Waiting on my chrome visor for headlight, will post photos when installed.Anyone had experience in removing the front headlight off a GTV?Also does anyone think the headlight is a little dull on a GTV,any suggestions or improvements would be greatly appreciated. 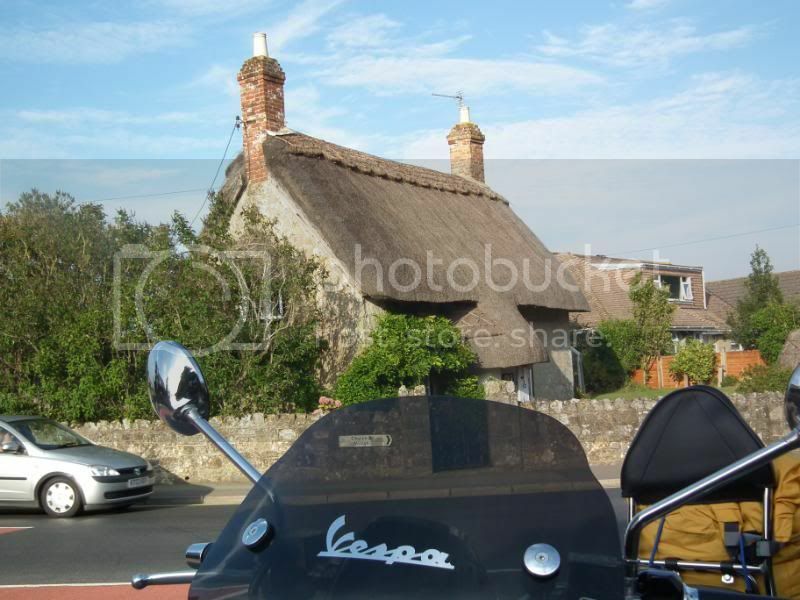 Witch,love the colour of your ivory GTV,tried getting the same here but was told the colour is discontinued in Oz. 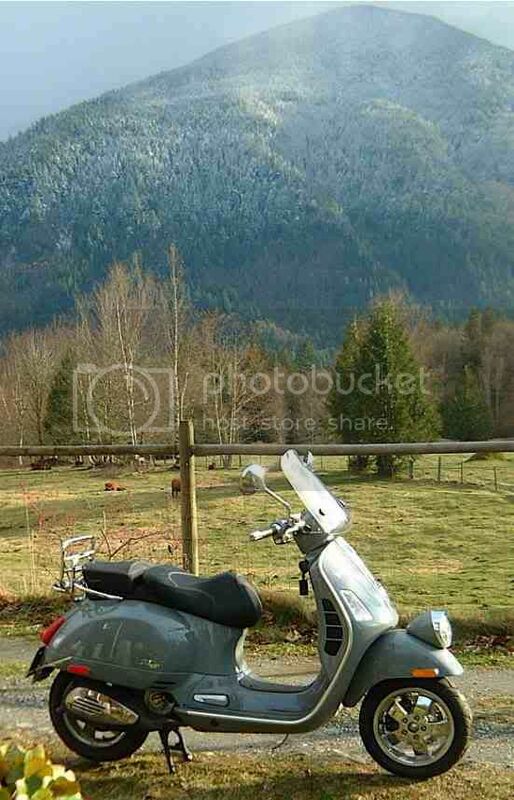 I think it's the best colour VESPA. Hello Huffinstuf, sorry can you tell me if you've had problems with this windscreen average vibration or movement and swaying while driving at high speed '? You badly? To assemble and 'need to make changes or GTV easily adapts to attack the original? This model of ref. "GTV18? Thanks and see you soon, Antonio. Antonio. So far I don't have any problems with windscreen vibration. Saying that I am still on a restricted speed licence of 90km/hr, but don't believe I had any issues with excessive movement. My windscreen fitted easily onto existing mounts.I received 2 x discs with the winscreen,(no instructions) which I placed between the chrome cover and the (existing)rubber that sits in the windscreen holes. Yes, the screen will vibrate when the bike is at an idle. It's about the biggest screen you can really put onto the GTV without taller supports, and that's why it vibrates with the engine. It doesn't negatively affect the performance of the bike at speed, and you won't notice any vibration when you're moving more than a few miles an hour. who sells these screens and what price would they be shipped to the UK. 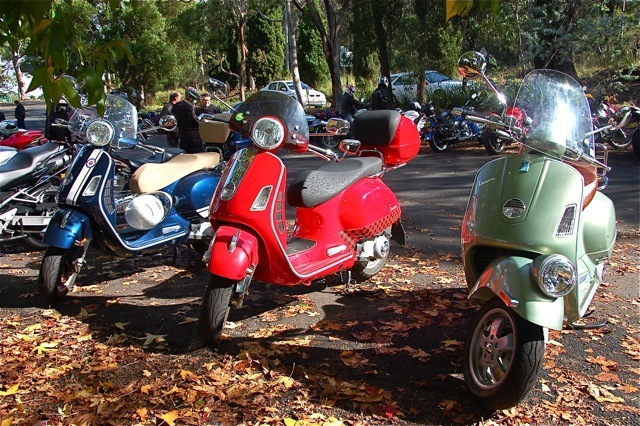 You can purchase the GTV windscreens form Scooterwest in the US. Cost US $99 and shipping can be calculated using website. I bought one which landed a week after ordering to Sydney Australia. Screen is great, very happy with it. thanx huffinstuff ,i will have a butchers at it. $ 99 cost plus $ 35 shipping so all in under £100,might be tempted. I`m obviously getting paid too much. 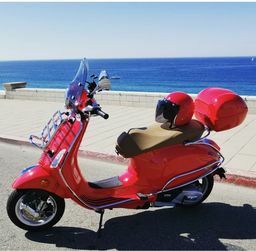 but what price to make a beautiful scooter even better. As this is a limited edition model Piaggio should have let the customers decide what they want as accessories,at a cost to us of course. Awesome. I've had the screen on for a few weeks now. I'm used to the wobble. It's not violent or anything. When I find time, maybe I'll do the washer or inner tube DIY. Right now, I'm ok without it. Take pics!!! 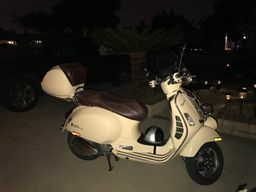 I have a cut-down Vespa windscreen from Vespa Eastside (WA) that's a little taller than yours and uses the Vespa tall brackets (for the tall windshield). No wobble (short and tall brackets). Shorter than the original but I would probably like it just a tad shorter. Stiff as a board and no wind. Increased top speed big time. Can hit 85 on speedo easy. Opinions on indicated 87 on the speedo while bouncing off the rev limiter with this screen? If your speedo read 87 you were actually doing 78-80.
windshield arrived from USA and fitted in minutes,very happy with the result. I always subtracted 10, but would this screen hold up at that speed for say an hour twice a day? There's no reason for the screen not to hold up, unless you don't have it mounted correctly. I've ridden all day with the mid-screen and had no issues from it. Now, I did have some issues from sitting on the stock seat for that long, but that's an entirely different problem altogether. I know this is late to the party, sorry did not see this sooner. 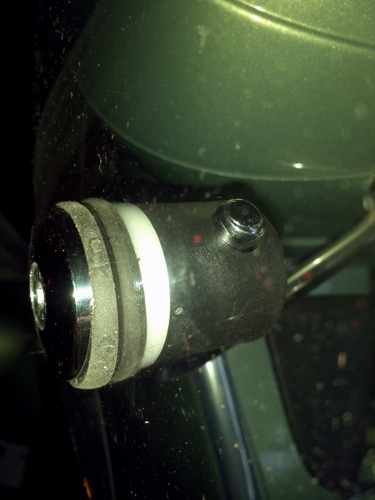 But the easiest fix for the thinner Wind screen, is to simply cut the rubber bushing right in the middle of the gromet. Like pictured below. 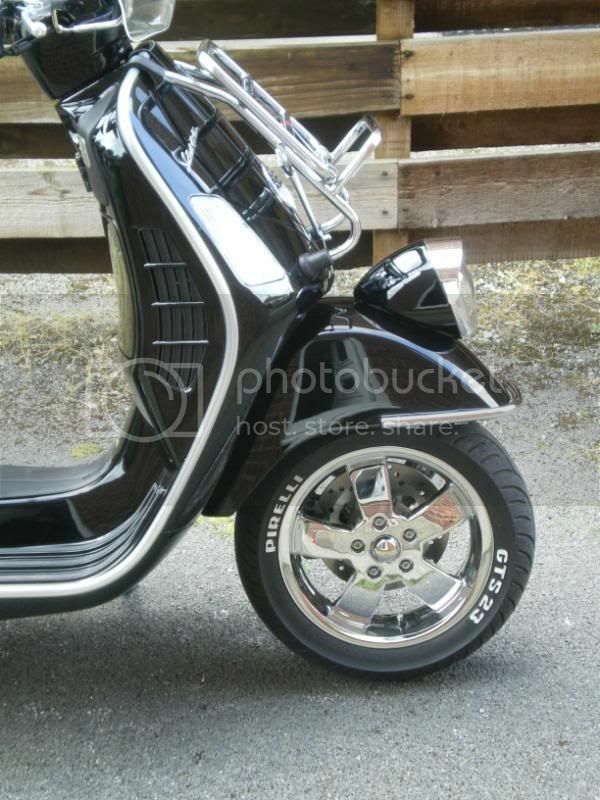 Original Vespa wind screens are all going to be thicker than after market. And if this new screen does not come with it's own hardware, just use a hacksaw, bandsaw or the like to take a little out of the middle, making it a two piece gromet that will hold the windscreen tight. 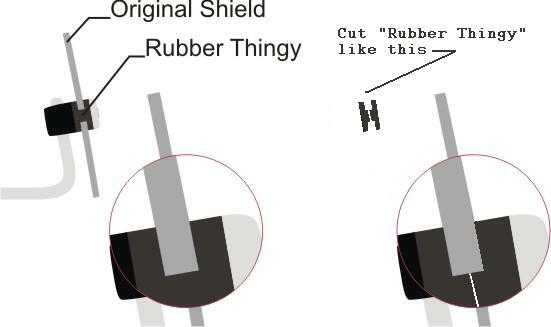 Do not cut with a knife, as that will not remove a section of rubber. Unless you then plan to sand it down. hey guys.. thanks so much for all the feedback and comments for the fly screen. Have got mine and fix it... Gap wise. still can live with it. But wht about the 2 white disc which i got. Tried fixing with and without the 2 white discs. 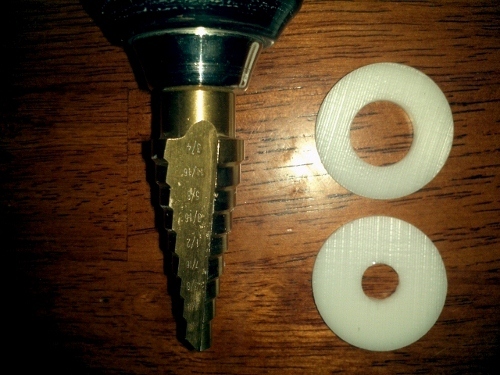 Only difference is without the 2 white disc, the screw can reach max in. And with the 2 white disc, there is allowance to be screwed in but tht will compress the rubber which i think its nt a good idea. did anybody else see this old school lx flysceen on the isotta site? Question: "I just got the GTV18 windshield for my GTV and was wondering where the beveled nylon washers should be installed. It would appear that they go under the chrome button on top of the rubber grommet skinny side up. But that is just a guess. Can you confirm or correct for me." Response: "They are designed to keep the windscreen from pushing too far backward at high speeds. They should mount on the screen to bracket hardware in a direction that will accomplish this. 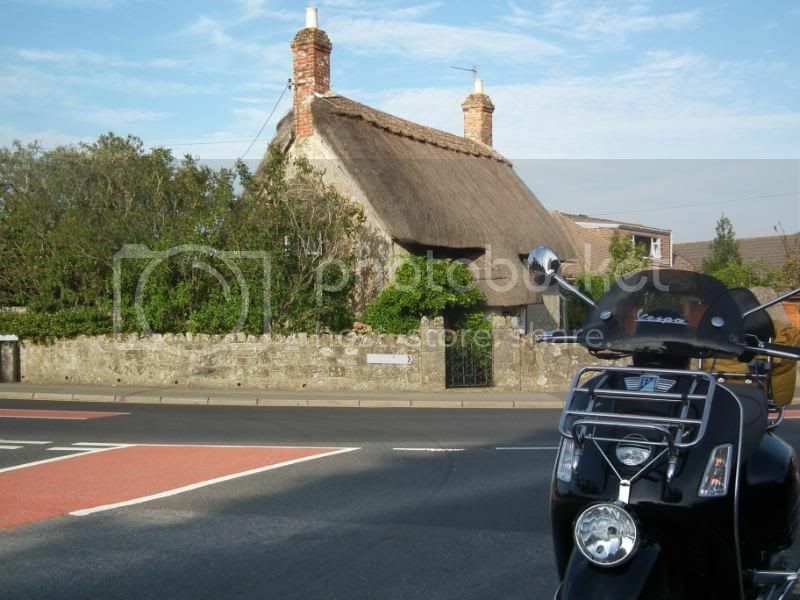 hi all, i'm wondering if anyone's tried this biondi midsized screen? i have the screen from the OP...i like it, but the shaking is a little weird. 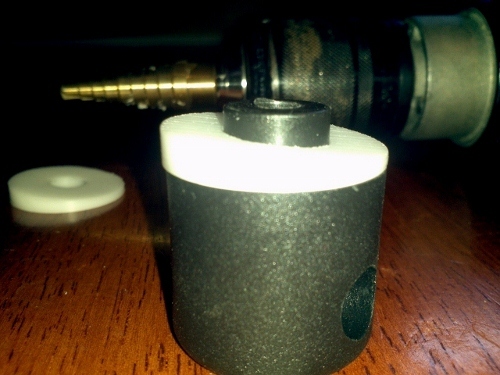 this biondi one has 4 mounts and it's 2" taller...seems like it will be a little more sturdy? I think that Biondi one is still fairly new to the US as far as easy availability. All screens will vibrate to some extent. It's just more noticeable the taller the screen, and the higher the top is over the tallest mounting point it has. I would be curious to see the difference in vibration on that one, if there is any. Yes, it has 2 mounting points on the screen itself... but those are both attached to the very small stock windscreen mounts. 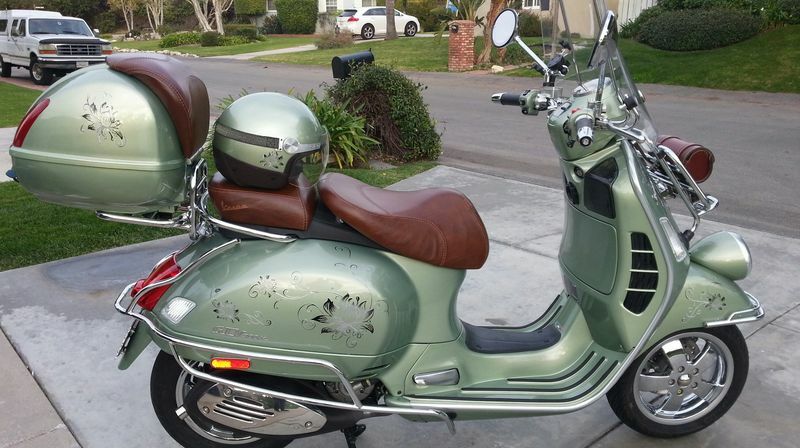 In contrast, the tall Vespa screen uses both the stock screen mounts as well as extra mounts connected directly to the handlebars. 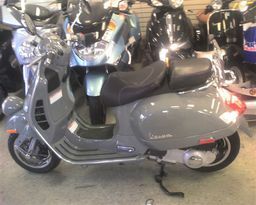 I had the full size vespa screen cut down to mid height. I used that for a couple of years. It did not shake at all because of the mounting points, but I got tired of looking through it in the rain and at night, and I do a lot of freeway driving over a windy bridge. 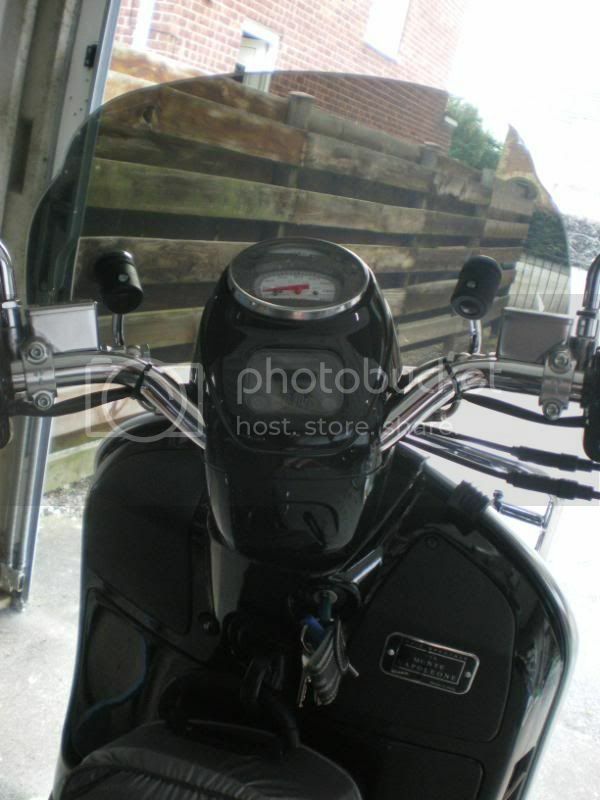 I find the scoot handles better without the windscreen and I went back to the stock gtv screen last year. Great color! I had the screen cut down as well. I'm still learning about posting photos, so sorry for the size and graininess. I put a thin galvanized fender washer between the rubber and the outer chrome disc to stop the bobbing of the flyscreen at speed. I just happened to have a couple the right size. Seems to work well. I just got one of these off a post on MV. I have the uneven washers that are thicker on one side than the other. If I read correctly I am to put it on the back side of the windscreen grommets with the thicker side on the top side ? did you put those un even washer in the back of the windscreen. I am trying to figure out the best position for these washers. Where can I buy it?!? Re: Where can I get it? 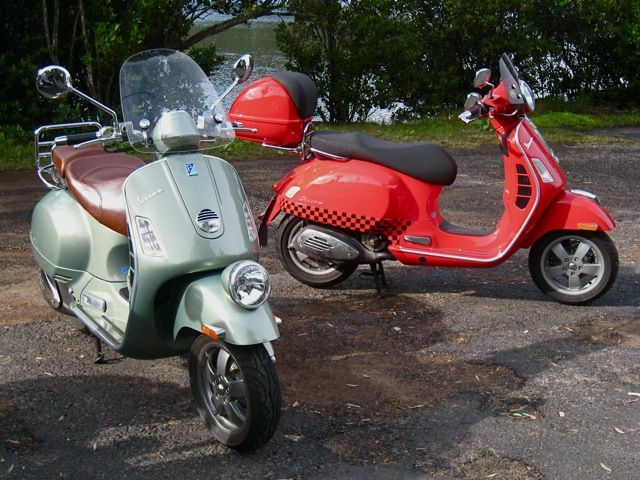 It's exclusive to Vespa Motorsport/Scooterwest (used to be called Motorsport Scooters before they became a Vespa dealer again and reinstated their old name). Has this windshield been discontinued ? I can't find it anywhere! Why is it so difficult to find a midsize shield for the GTV? Where can I buy this windshield? And for how much $ ? I am looking for the exact same size and shape as the one on the pic. Living in Switzerland, went to Italy (as every year) and found nothing of the same size. Biondi is doing one but bigger size. This one is so perfect. Please let me know where to find one. Hi All. These are all very old postings, but I really would like to find out who has these midsize flyscreens. Scooterwest does not have them. I have the same one on newly acquired GT60 and could not find them anywhere online. 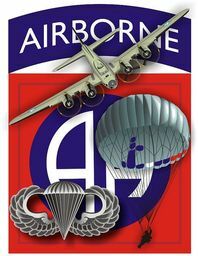 Thank you if anyone can help me find it.